Elegantly Crafted and meticulously maintained 4BD/3BA Southern Style Masterpiece. This magnificent home boasts gorgeous formal living room with brick wood-burning fireplace, formal dining room, beautiful oak paneled library with gorgeous brick wood-burning fireplace, Magnificently updated granite top kitchen with huge island and stainless steel appliances open to an amazing den off the kitchen and full bathroom. Bonus room above garage offers a huge rec room for entertainment. Upper level offers wonderful updated master suite with amazing views, and 3 additional spacious bedrooms and 1 bathroom. 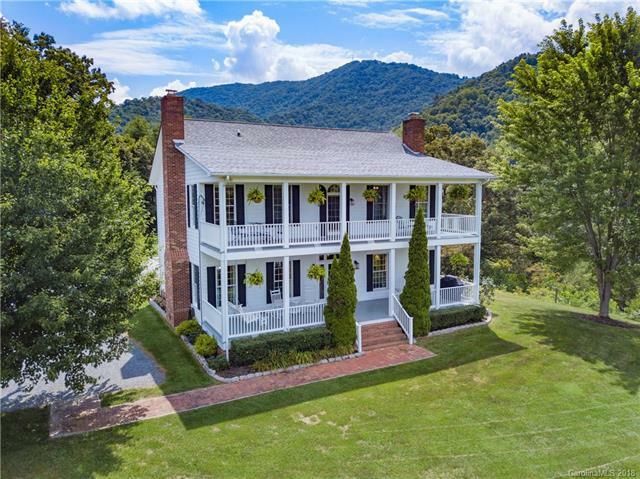 Amazing 42x10 front and upper level rocking chair porches with spectacular long range mountain views, beautiful trex back patio, over-sized 2-car garage, lush landscaping including 27 Rose bushes and container garden, and 9.77 wonderful acres complete this superb home!